NetNine offer one of the best packages for VPS. If you do not want to invest a lot of money and need good connection, then this is the perfect opportunity for you. 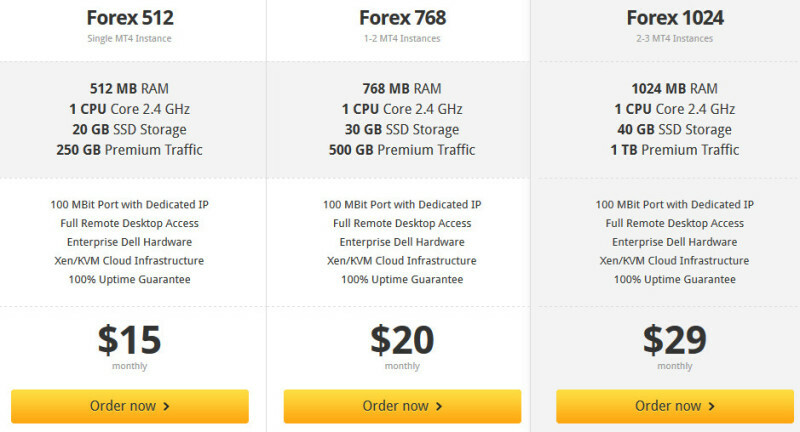 This company have cheap vps plans, but with good conditions. It is very important to have good connection, because every second of the forex market is important. If you lost your connection to your broker, you can lost a lot of money, so this invest is reguired if you want to make money proffesional and with no risk about your connection. You know that money make money, so every invest is important for you. NetNine offer minimal vps plan called Forex 512 and is perfect for Single MT4 Instance. All you need to trade forex in good conditions is here – 512 MB RAM, 1 CPU Core 2.4 GHz, 20 GB SSD Storage, 250 GB Premium Traffic, 100 MBit Port with Dedicated IP. You will receive also Full Remote Desktop Access and 100% Uptime Guarantee for only $15 per month. If you need more power, they also offer plan called Forex 2048 for 4-5 MT4 Intances with 2048 MB RAM, 2 CPU Cores 2.4 GHz, 60 GB SSD Storage, 2 TB Premium Traffic, 1000 MBit Port with Dedicated IP for $49. The most powerfull vps plan is Forex 8192 for 10-15 MT4 Instances with 8192 MB RAM, 4 CPU Cores 2.4 GHz, 100 GB SSD Storage, 4 TB Premium Traffic. This plan is only for proffesional traders and investors. This is the best option, if you want to make a lot of money and a lot of pips at the forex market.